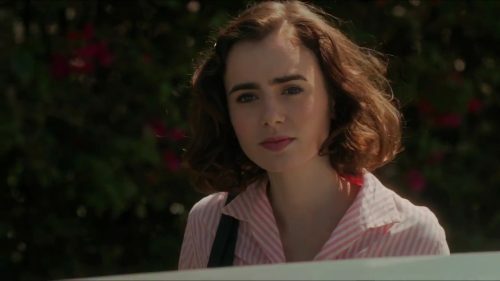 A new trailer for Warren Beatty’s upcoming ensemble film, Rules don’t Apply. This one is based around a song. I have to assume that it’s from the film’s soundtrack but I could be wrong. On the other hand, I do feel it gives quite a lot more of the plot away compared to the last trailer we saw. It’s Hollywood, 1958. Small town beauty queen and devout Baptist virgin Marla Mabrey, under contract to the infamous Howard Hughes, arrives in Los Angeles. At the airport, she meets her driver Frank Forbes, who is engaged to be married to his 7th grade sweetheart and is a deeply religious Methodist. Their instant attraction not only puts their religious convictions to the test, but also defies Hughes’ #1 rule: no employee is allowed to have any relationship whatsoever with a contract actress. Hughes’ behaviour intersects with Marla and Frank in very separate and unexpected ways, and as they are drawn deeper into his bizarre world, their values are challenged and their lives are changed.